Choosing Hutton pasta you can quickly and cheaply prepare a healthy, delicious food to be a fully satisfied and for whom you want to reap all your appreciations every time. 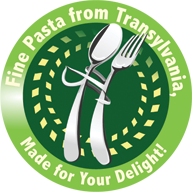 They are your trusty - everyday pasta, but also an excellent choice for special occasions in your family life. I had the opportunity to consumption of your products (noodles diamonds, with 6 eggs 250 g) for which we were very happy and I want to buy this product from you for my family. Super pasta Hutton. I like (and use) a lot noodle noodles broad, undulating lati, looks great with "lastele" made by the mother country and believe me I am not mistaken. (I cook almost anything) I'd like to try the lasagna sheets. WE CARE ABOUT YOUR OPINIONS! FREE e-book with "50 romanian pastry recipes"